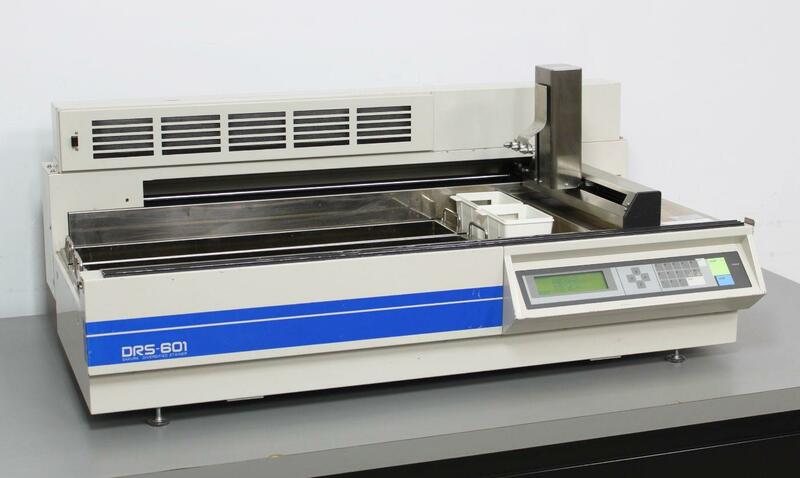 Sakura Tissue-Tek DRS-601 Diversified Programmable Automatic Slide Stainer . New Life Scientific, Inc.
functional. Performance of the control panel, display, and robotic arm is fast and smooth. you will need to acquire the reagent reservoirs for this system to be fully-operational. performance during a variety of programmed runs. needed. Each button on the control panel works well and the display is clear and bright.